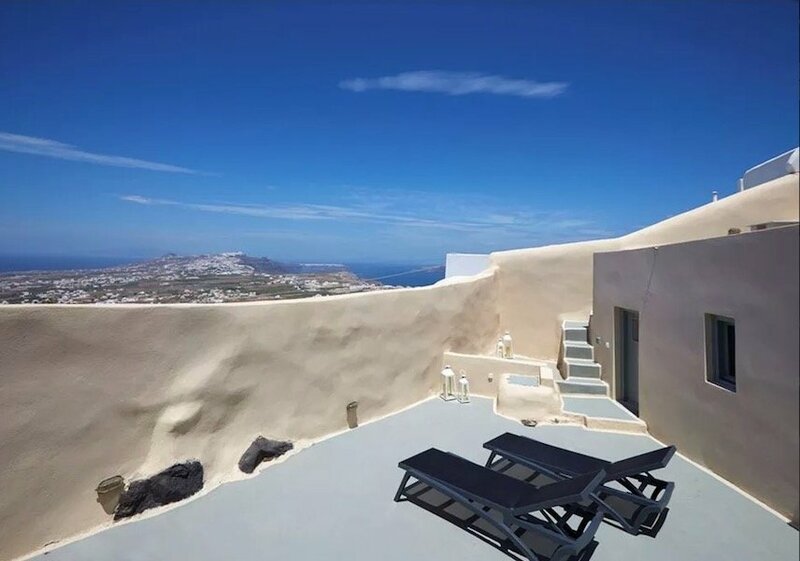 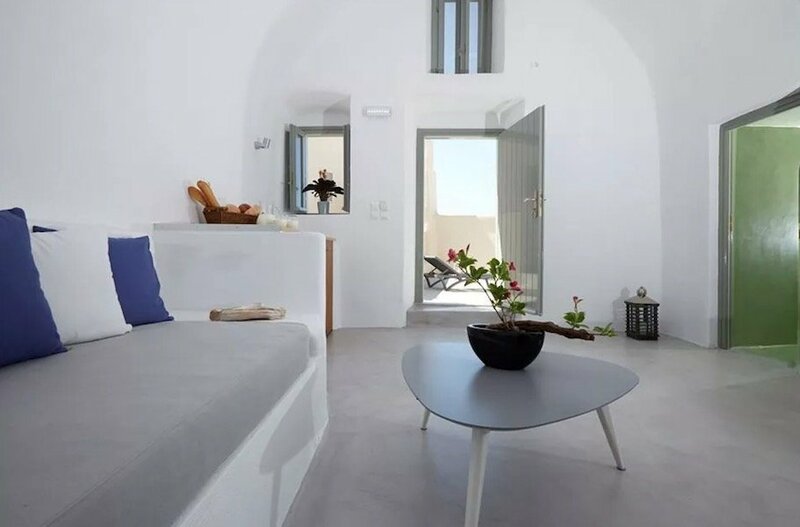 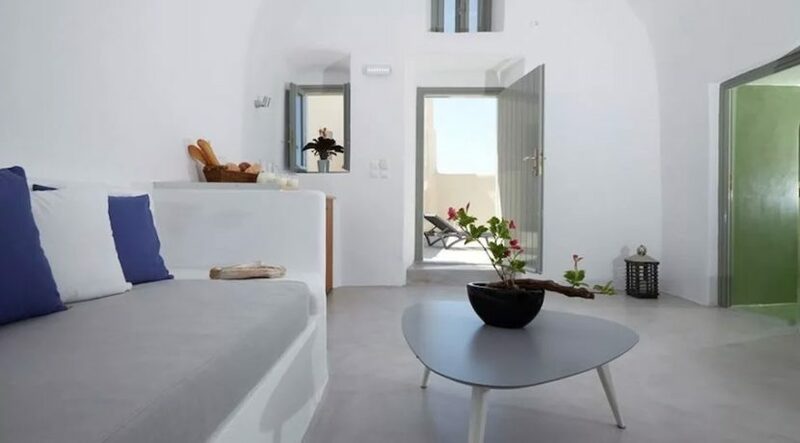 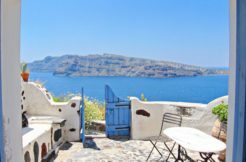 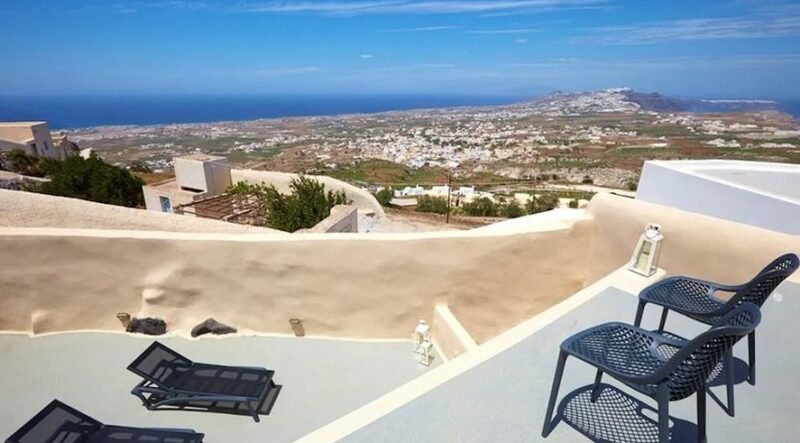 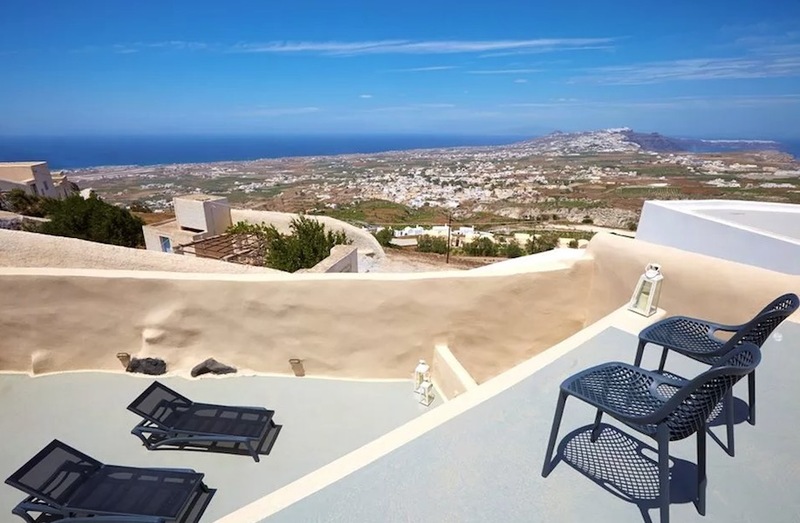 Property at Pyrgos Santorini with sea view : Detached house of 161 sq.m. 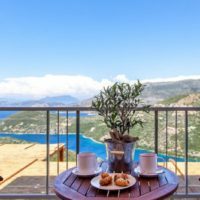 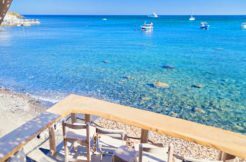 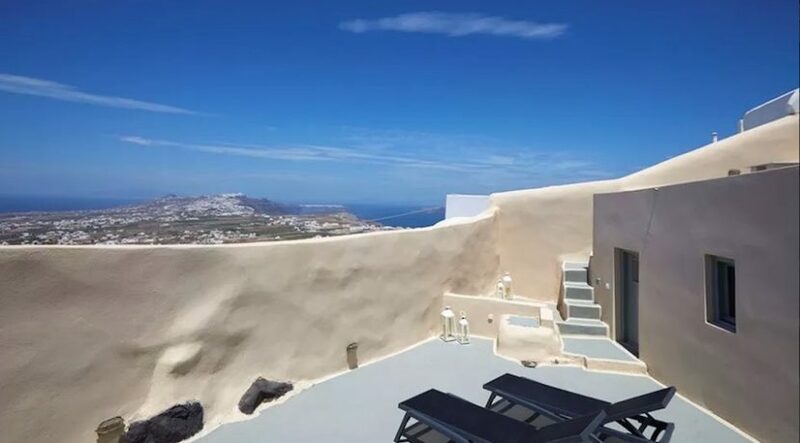 in total consisting of 2 residencies : one of 120 sqm that needs renovating (estimation of 80.000 euro needed) and a luxury ready residency of 41 sqm, with panoramic sea view with 1 bedroom, furnished, on a plot of 130 sq.m. 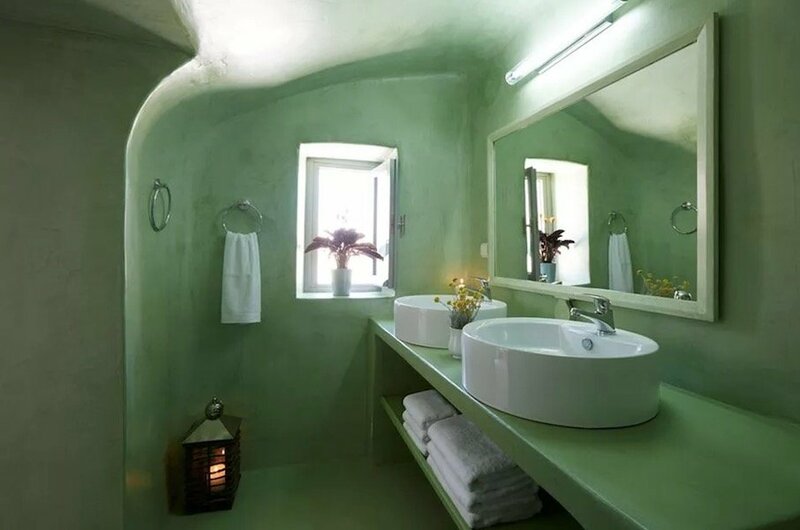 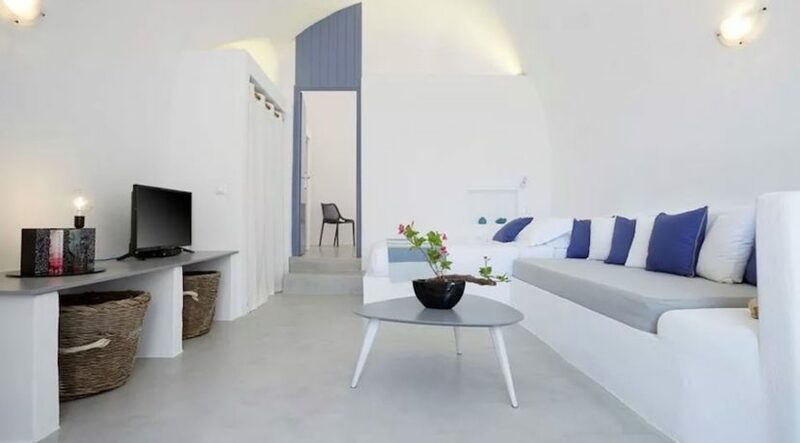 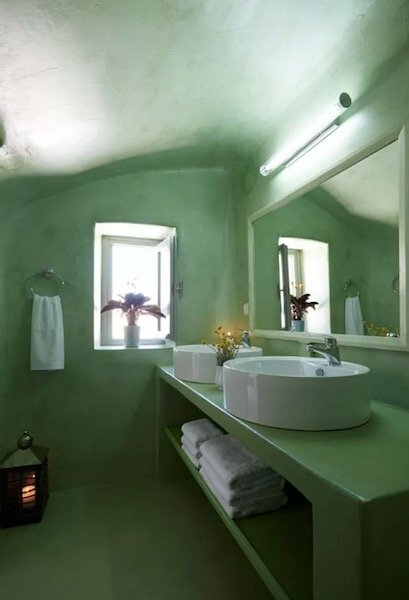 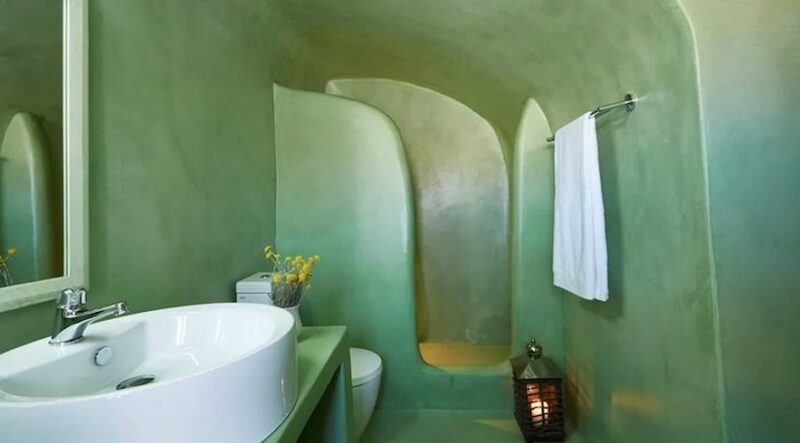 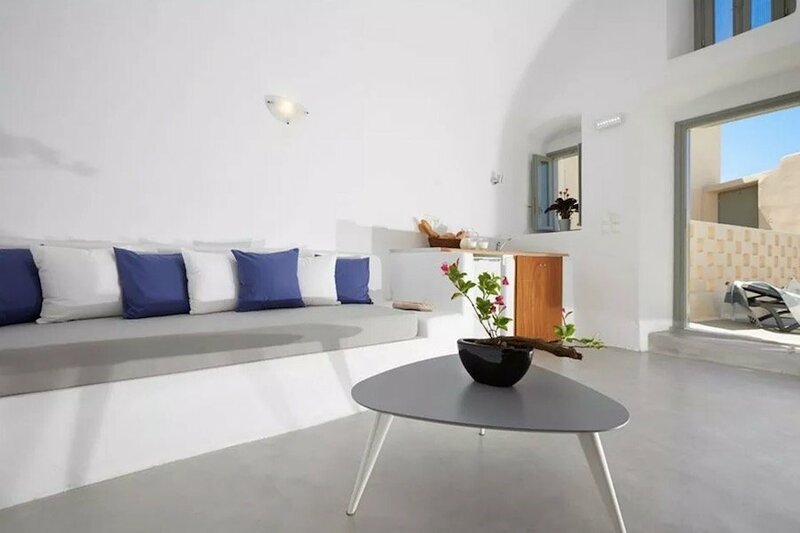 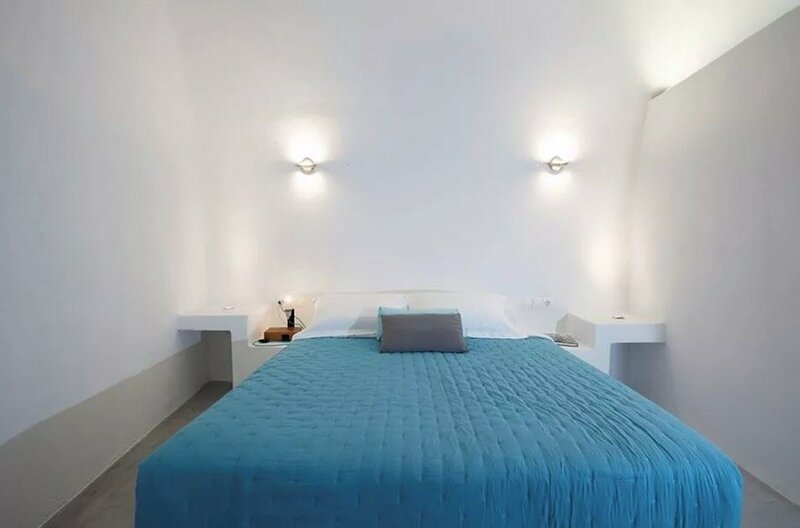 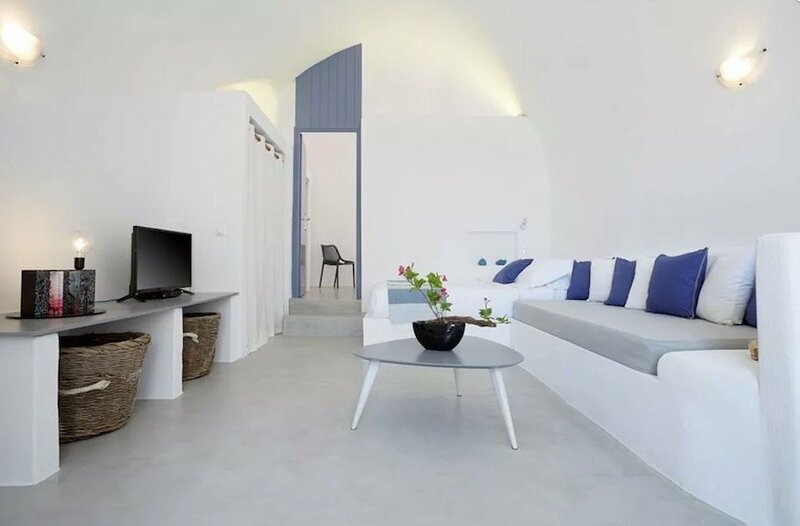 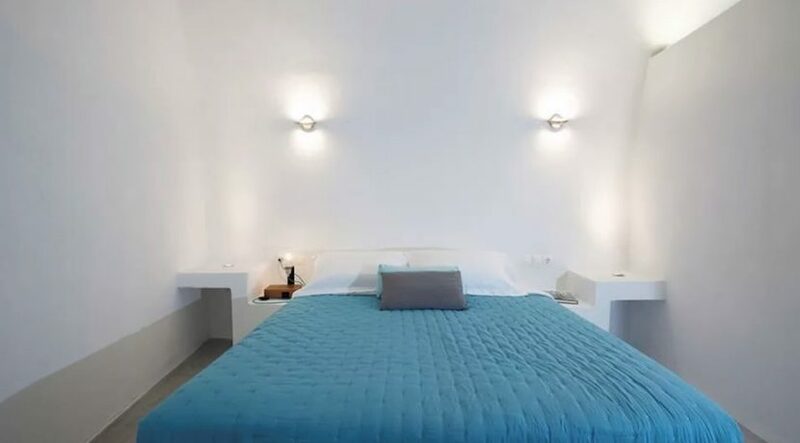 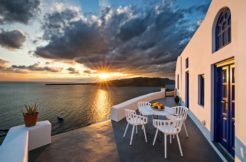 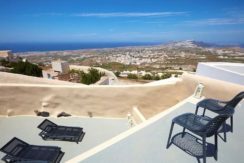 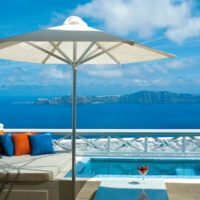 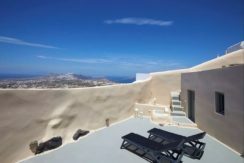 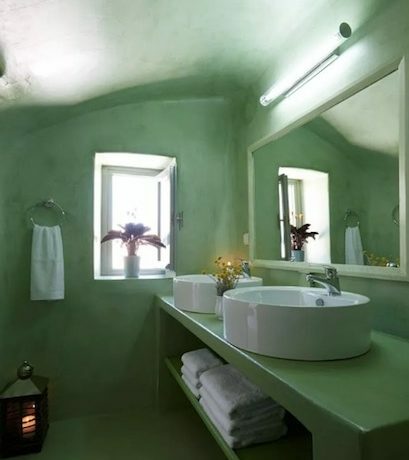 Santorini, Pyrgos, 2 unique houses for sale 120 sqm and 41 sqm, with panoramic sea view. 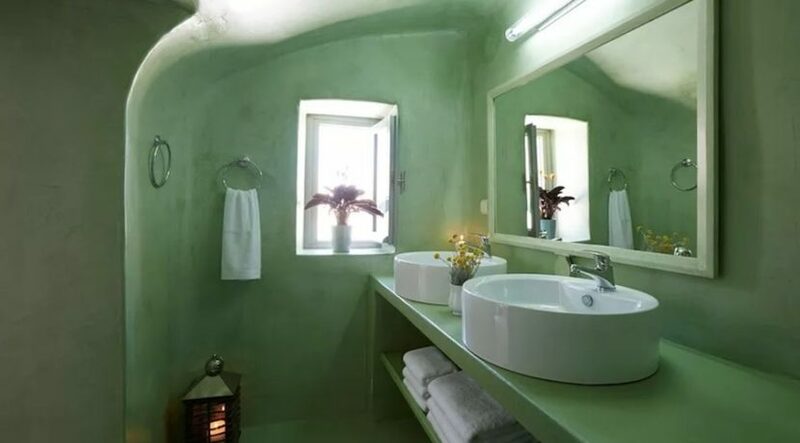 The 41 sqm detached house is luxuriously constructed with the capacity to accommodate up to 5 people. 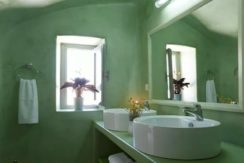 The 120 sqm detached house needs renovation ( approximately 80,000 euros). 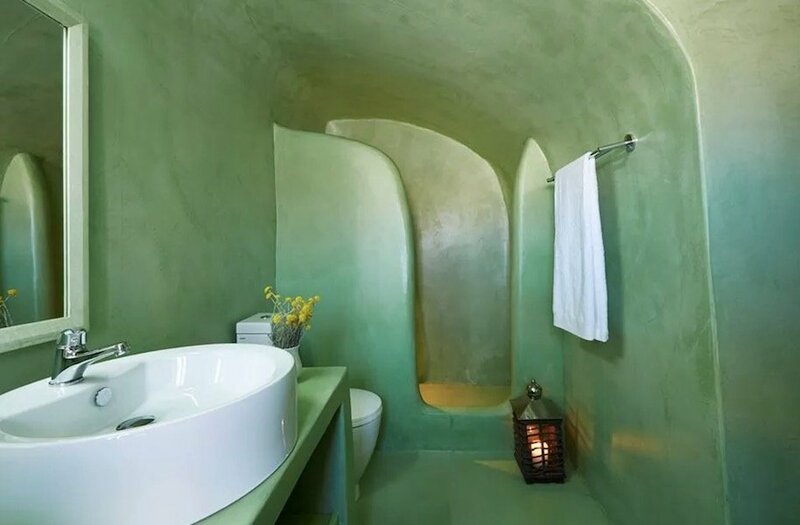 Both are available for sale exclusive.